New year, new ______. You fill in the blank! We can give your home the fix you’ve been dreaming about in 2015! 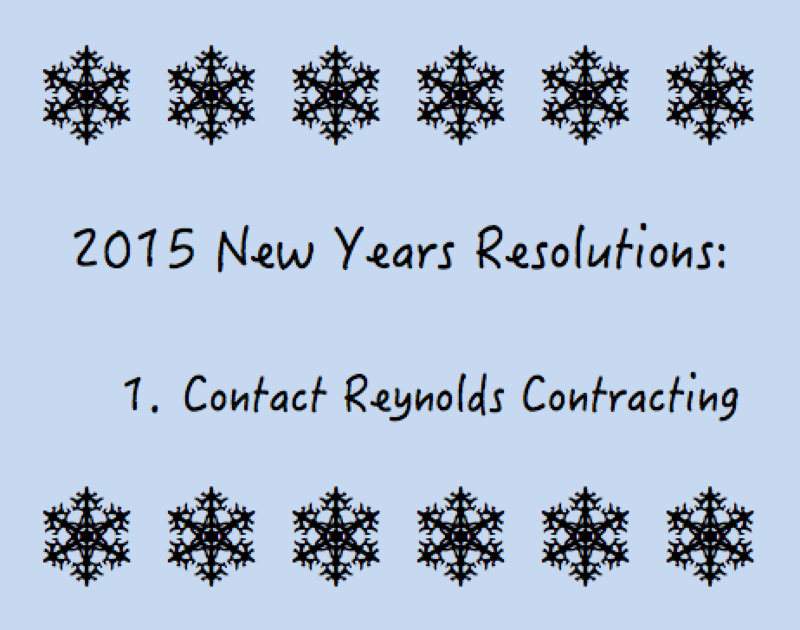 As you begin to look into the New Year, remember Reynolds Contracting in all of your home maintenance plans. Whether it’s solving a problem or improving aesthetics, let us help make your vision a reality. Watch for new posts beginning this week on ways to improve your home in the off-season. You might be surprised just how many projects we can cross off your list before the busy-ness of spring moves in. Already convinced? Contact us right away to schedule a free consultation.